carol j. phipps | all galleries >> Galleries >> Come Walk in My Garden! 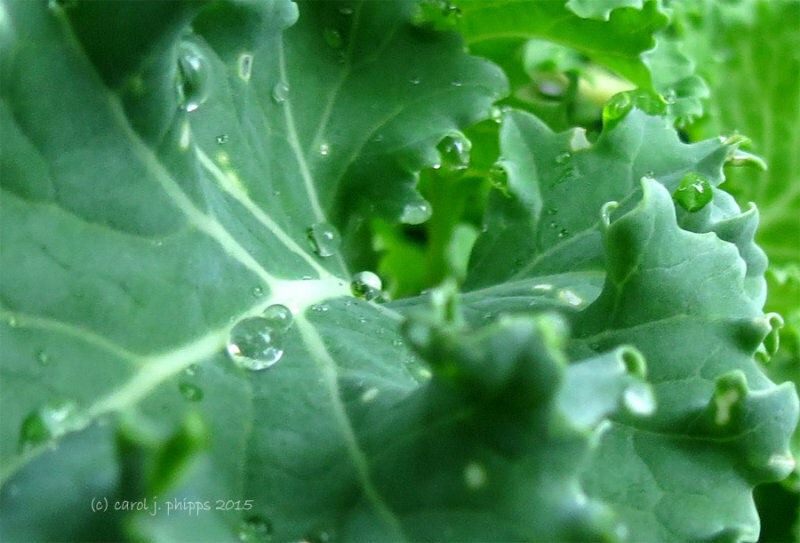 > Hearty Kale! A very healthy image but it's not one of my favourite greens. This is like an organic world. Beautiful color and the droplets are really nice. V.
Carol, love the simplicity and droplets bubbles they have formed!